I’ve heard it a few times this week— “These kids have lost their minds,” and while it may feel like it at times, it’s nothing new. It happens every April. Spring Break’s in the past, the weather’s pleasant, days get longer, spring sports are up and running, schedules are filled with just one more thing, and the end of school is near. Simply put, it’s tiring and it’s hard to focus and finish strong. And if it’s this hard for us, just think about how difficult it is for our kids! 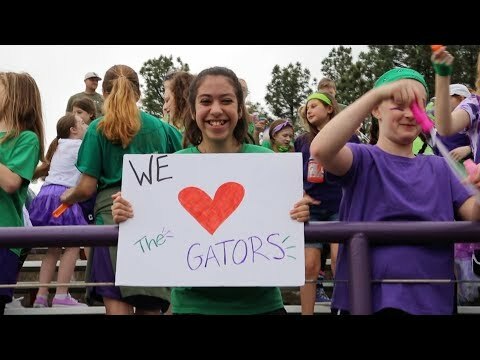 For them, too, Spring Break’s in the past, the weather’s pleasant, days get longer, spring sports are up and running, schedules are filled with just one more thing, and the end of school is near. On top of that, they’re dealing with the social pressures of being teenagers, their bodies are changing, their brains are nowhere close to being fully developed, they’re managing family dynamics (some positive, some negative) and many are still trying to figure out who they are. Of course they’re going to lose their minds! Wouldn’t you? Didn’t you? We shouldn’t be surprised this is happening. Instead, we should be thankful for the opportunities in front of us. It’s not easy, and it’s certainly not natural, but just when we don’t think we can do it, we have to remember to lean on Jesus for strength, wisdom, and guidance. We can’t do it on our own (successfully, at least) because we can’t give from an empty cup. We have six marbles remaining. Make them count. Show kids Jesus. If necessary, use words.